This event is free! All attendees MUST register using the form below. The deceleration of transistor feature size scaling has motivated a growing adoption of specialized accelerators implemented as GPUs, FPGAs and ASICs, and more recently new types of computing such as neuromorphic and quantum. There is a tension between specialization and generalization, with the current state trending to master-slave models where accelerators (slaves) are instructed by a general purpose system (master). This talk will address System Software functionality for memristor-based accelerators by first exploring one accelerator implementation (the Dot Product Engine, or DPE) for a select pattern of applications in machine learning and neural networks. It will also describe a new instruction set architecture and accompanying software stack and toolchain, with its compiler, loader, device driver and a set of emulators. Measurements of performance and power consumption will demonstrate that making an accelerator such as the DPE more generalized in its applicability can lead to broader adoption and better utilization of this technology approach. The subject matter of this technology approach is available online in this video and this story. 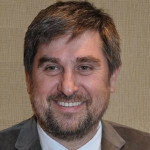 Dejan Milojicic is a distinguished technologist at Hewlett Packard Labs where he leads system software teams on four continents. He worked at the OSF Research Institute in Cambridge, MA and at the Mihajlo Pupin Institute in Belgrade, Serbia. Dejan received his PhD from Kaiserslautern University, Germany, and his undergraduate degrees from Belgrade University, Serbia. He was a technical director of the Open Cirrus Cloud Computing Testbed, with academic, industrial and government sites in the US, Europe and Asia. He has published 2 books and 180 papers, and has 35 granted patents. He is an IEEE Fellow (“for contributions to distributed systems software and mobile programming abstractions”) and an ACM Distinguished Engineer (2008). Dejan was on 8 PhD thesis committees, and taught a Cloud management course at SJSU. As President of the IEEE Computer Society in 2014, he started Tech Trends, the top viewed CS news site. As the IEEE CS Industry Engagement Chair, he started the IEEE Infrastructure’18 Conference. Be sure to bring a photo ID to verify your registration. The building is on the corner of S Milpitas Blvd and Yosemite Dr., with the main entrance facing S Milpitas Blvd. However, you will need to enter the building from the Yosemite Dr. side. 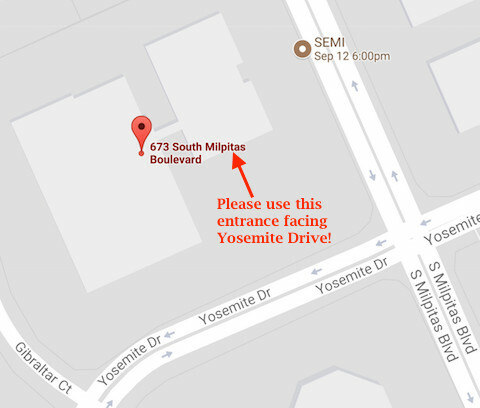 Navigate to 567 Yosemite Dr, Milpitas and you will be directed to the correct parking lot for easiest entry. Plenty of parking is available.